The image above features Romance Was Born's collaboration with artist Stephen Bush. 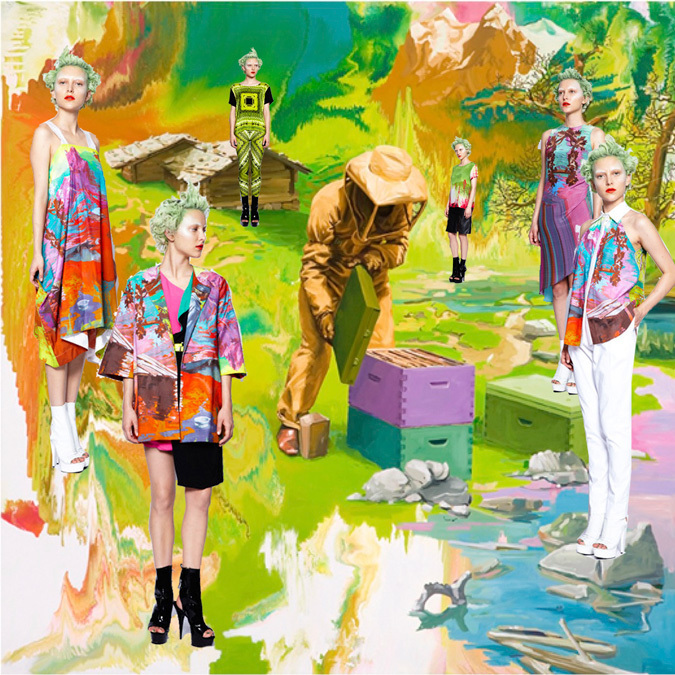 The result, digitally printed garments that showcase his landscape artwork. SZN's collaboration with illustrator Nick Ellis was fun! If anyone has any ideas for a collaboration I am all ears.